Amazon (NASDAQ:AMZN) recently announced Kindle Singles, which are short stories written by popular authors such as Jodi Picoult, Rich Cohen and Jonathan Littell, as well as magazine writers and journalists such as Mark Greif and Sebastian Rotella. Kindle Singles are set at a good price as well. 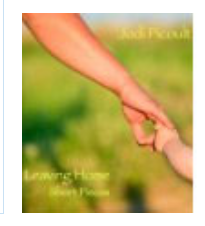 Jodi Picoult, one of my favorite authors, wrote Leaving Home, a collection of three short stories that as Amazon puts it: “Leaving Home‘s three emotionally charged stories deal with a gamut of pain, regret, unconditional love, memory, motherhood, and friendship that the author renders almost palpably.” The first story, “Weights and Measures” describes the trauma of dealing with the loss of a child, The second is a letter that Picoult wrote to her son when he left for college and the last, “Ritz” is about a mother’s much needed vacation. Picoult is a master at dealing with controversial issues in some of her most well known novels, My Sister’s Keeper, Nineteen Minutes, Change of Heart and House Rules. Her next novel, Sing You Home arrives March 1. 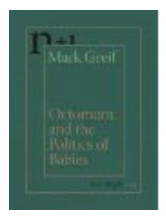 Many of the Kindle Singles touch on current issues such as Greif’s Octomom and the Politics of Babies and Rotella’s Pakistan and the Mumbai Attacks: An Untold Story. Richard Cohen got the opportunity to spend some time with John Milius, who wrote the screenplays for the movies, Apocalypse Now, Red Dawn and Dirty Harry. Milius is the basis for the ultra conservative gun welding Walter on The Big Lebrowski. The Real Lebrowski provides a more realistic glimpse of the infamous movie director’s life and into the world of show business. Jonathan Littell, the author of Kindly Ones and a war correspondent for Le Monde, provides a harrowing account of the Lord’s Resistance Army campaign in The Congo called The Invisible Enemy. Thousands of children were captured and made slaves by members of the this horrendous movement. Littell includes stories from children who managed to escape and from anti-LRA officers. The selection of Kindle Singles touch on heavy, emotion evoking issues that many of us can relate to at some point or another. You have a choice of romance, thrillers and first hand accounts of major events, as well as stories from the international stage. The prices range from 99 cents to $2.99. So, if you are looking for something short, yet worthy of reading for your Kindle or Kindle DX, these are worth a try. This entry was posted in Good Kindle Books At A Glance, Kindle Books and tagged Change of Heart, House Rules, Jodi Picoult, Jonathan Littell, Leaving Home, Mark Greif, Nineteen Minutes, Octomom and the Politics of Babies, Pakistan and Mumbai: An Untold Story, Sebastian Rotella, Sing You Home, The Invisible Enemy, The Real Lebowski by holly. Bookmark the permalink.